Twigs and sticks, every time we leave the house we seem to come back with more. I have a plant pot by the back door where I get the kids to put them at least until we can get a nature table set up in our new home. 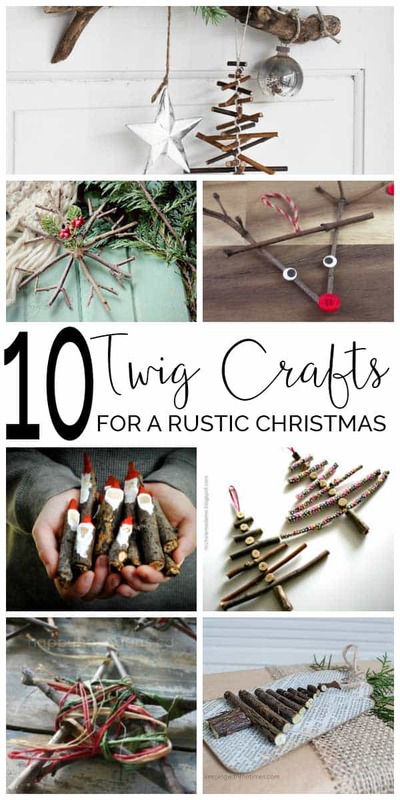 But, with Christmas approaching it’s time to search out some inspiration for some Twig Crafts to use them up before we have a forest of twigs taking over the garden. 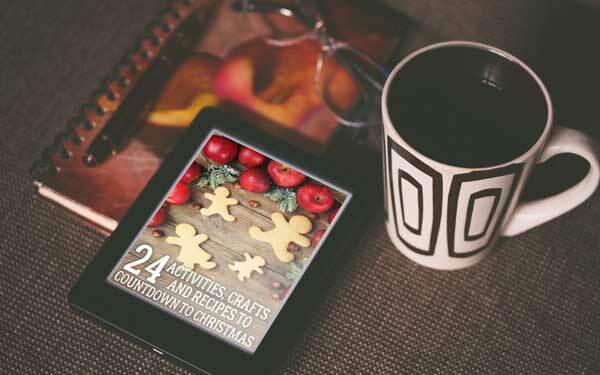 Use these free natural resources to create beautiful decorations for Christmas this year. Check out our Natural Crafts for Kids and You for more inspiration as well. Some of the links in this article are affiliate links to products we recommend. I love how easy this idea is for kids to do, ribbon from your crafting stash or buy a bag of ribbon ends that you can use to make them and some smaller twigs from your collection follow the instructions for making the twig Christmas Tree’s and you are on your way. Check out the full tutorial for Scrap Ribbon Tree Ornaments over on Fire Flies and Mud Pies. Another idea for the children to make from Fire Flies and Mud Pies these Reindeer Ribbon Decorations – buy some buttons, wiggle eyes and you can decorate the tree with these adorable little guys. One more for the kids – these twig stars are so cute from Happy Hooligans and with some natural raffia or coloured raffia and your standard crafting supplies you are off. Check out how to make your own Natural Decorations with our How to Dry Citrus Fruit Guide. I have seen these in all different sizes from mini Santa Twig’s to giant ones for decorating the garden. These aren’t for young kids but your teens could have a go and you most certainly should. 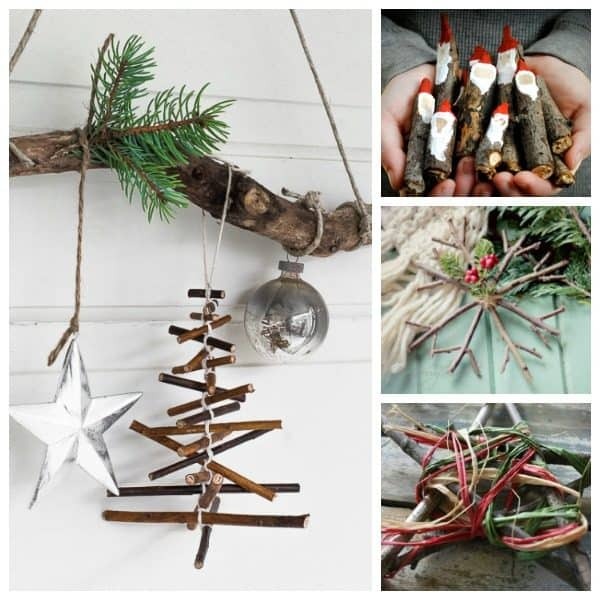 Swap your door wreath for a door hanging with this Rustic Twig Christmas Tree Ornament and Branch alternative from Funky Junk Interiors, I fancy giving it a go for the new house this year as looks really effective. Add some more natural elements to your home with our step-by-step guide on how to dry Whole Oranges. Perfect for using on wreaths and garlands. Snowflakes feature a lot in our Christmas Crafts at home we decorate the windows with paper snowflakes and have a huge jar of snowflake confetti that gets used in everything even to decorate the Christmas Table. These twig snowflakes from Yellow Bliss Road though I have to make this year as they would be perfect hanging in the Kitchen Window with some greenery as well. A different version of the twig stars is decorating around the twig with things like ribbon, twine and berries (real or artificial) and creating these ones from Sense and Simplicity. 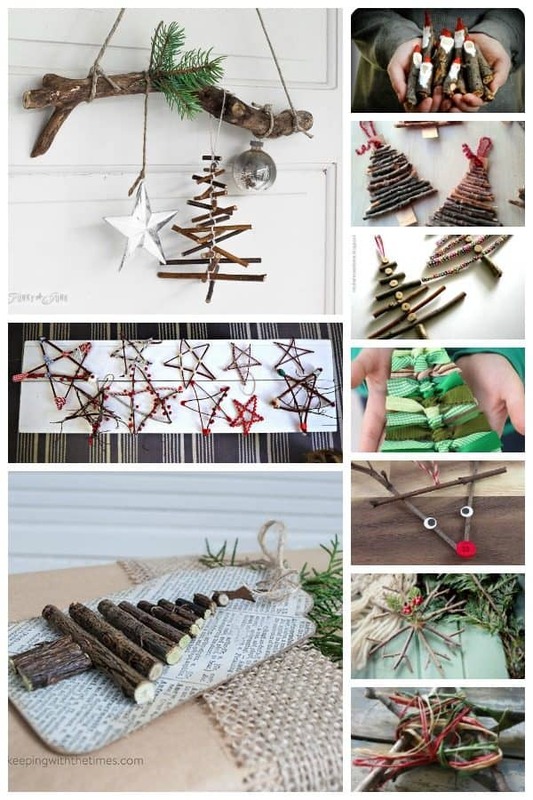 Raid the recycling bin as well as the twig collection and create these Rustic Twig Christmas Tree Ornaments, so easy for kids to make with you as well from Stow and Tell U. Add these little twig gift tags to your presents this year, use recycled paper luggage labels and then the smaller twigs from your collection and follow the guide over on Living Learning and Keeping with the Times and you came wrap up the Christmas parcels with a little nature. More Natural Crafting for Christmas with our Natural Ornaments to make with your Kids Suggestions.